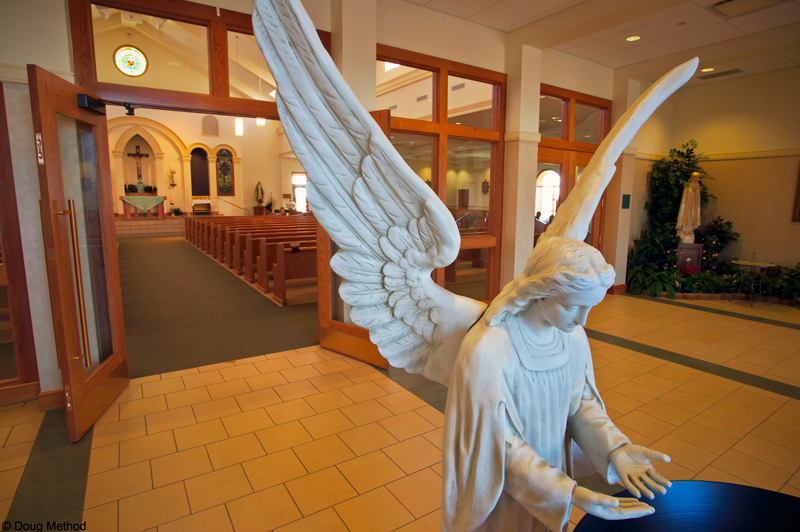 STRATA Architecture Inc., in collaboration with Jury Designs, Inc., was selected by the Sacred Heart Parish Building Committee and the Archdiocese of Kansas City, Kansas to design a new church for their quickly growing parish. 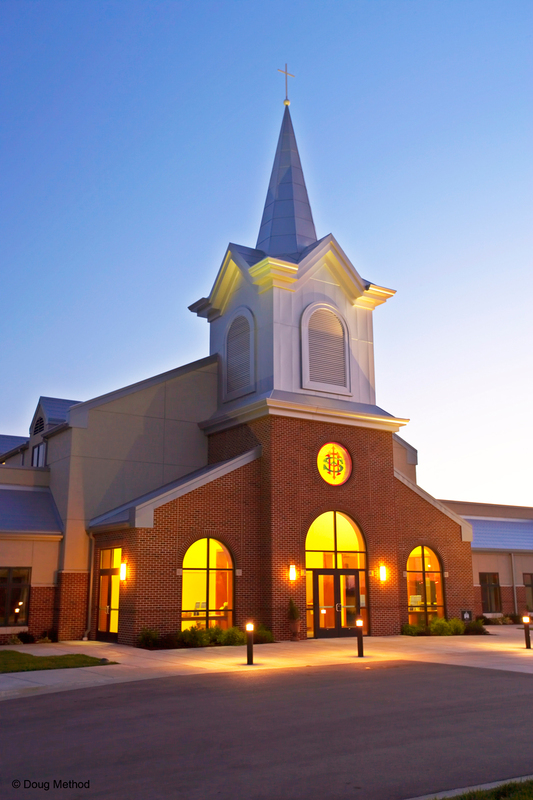 Our role in the project was to design a new worship space to seat approximately 1,000 parishioners while maintaining a spiritual atmosphere for worship. 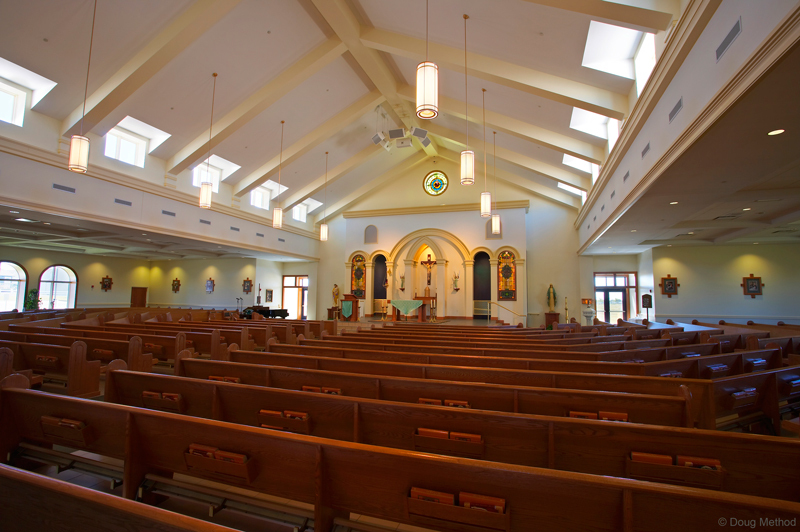 Our design included a three sided seating arrangement which is flooded with natural light from a clerestory. 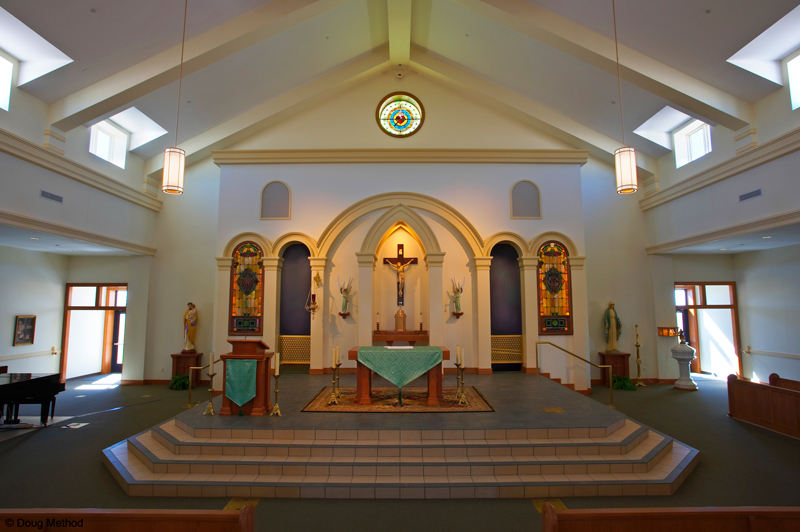 The elevated sanctuary incorporates elements from traditional church design, Sacred Heart’s existing church stained glass windows and unique rose window, all blended with contemporary finishes that create a warm and intimate space. 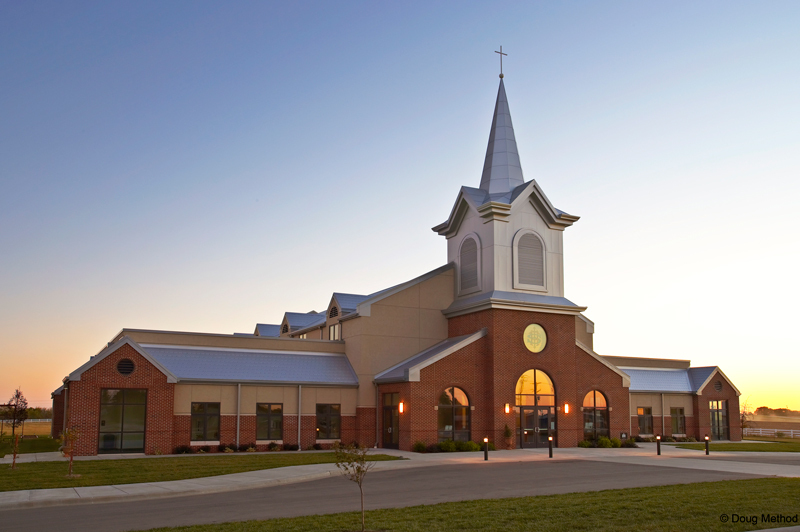 Design work also included the creation of their Master Plan for the development of a 4 acre site which includes additional parking, sports fields and site work, landscaping, a two story school for all ages, a multi-purpose auditorium and a daily chapel addition to the church.